PLAYERS will be awarded a disposal when they completely step out of the goal square from a kick-in or handball the ball to a teammate from the square, Champion Data has advised. Champion Data finalised its official ruling around the new kick-in rule on Thursday and as per previous seasons there will no disposal given when a player kicks-in while clearly still in the square. The changes come after the AFL rule instituted this season, which states that players will be allowed to run out of the goal square without having to kick the ball to themselves. The other key shift around the kick-in is that the man on the mark will now be brought out to 10m from the top of the goalsquare, rather than the existing five, in a bid to open the play up. "Once the player steps completely out of the square before kicking in, then this will count as a disposal, similar to past seasons after a kick-in to self," the statement read. "All handballs will be counted as disposals regardless of where the player is standing. "As per previous seasons, there will be no disposal given when a player kicks in while clearly still in the square." 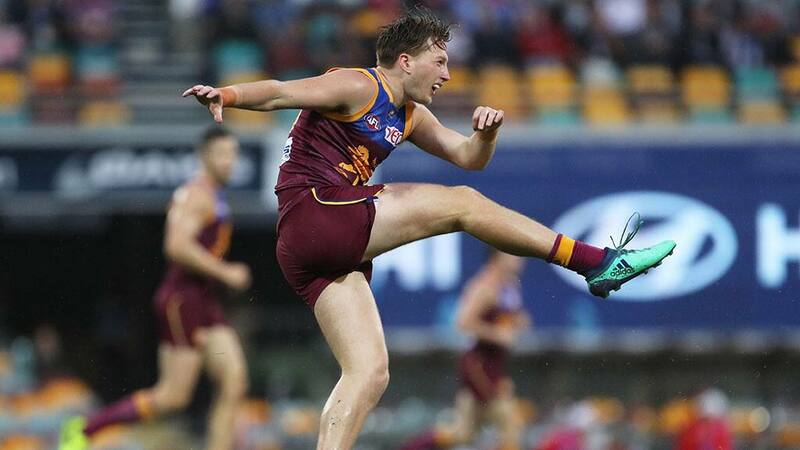 In 2018, Champion Data recorded 25 per cent of kick-ins to self across the AFL, with Sydney's Jake Lloyd totalling 157 kick-ins ahead of West Coast captain Shannon Hurn (151) and Brisbane's Alex Witherden (126). Lloyd played onto himself 28 per cent of the time, while Hurn (41.7 per cent) and Witherden (41.3) used the tactic more frequently. Only Carlton's Kade Simpson (50 per cent) kicked the ball to himself to play on more than Hurn among the top-10 kick-in players from last season. There is an overwhelming feeling among the League office and AFL clubs that players will utilise the extra space between the man on the mark to run out of the square and hit longer targets in 2019. Therefore, there is likely to be a distinct spike in the percentage of players 'playing-on' from the goal square which the AFL believes could add a new element to the game. For AFL Fantasy players, defenders who take kick-ins could be more valuable with the potential for the player to run out of the square and get an easy kick stat.